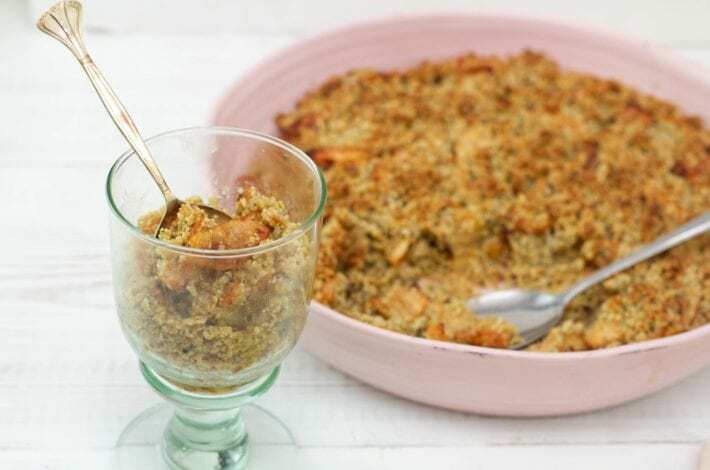 We used rolled oats and oat flour in this recipe in place of regular wheat flour. 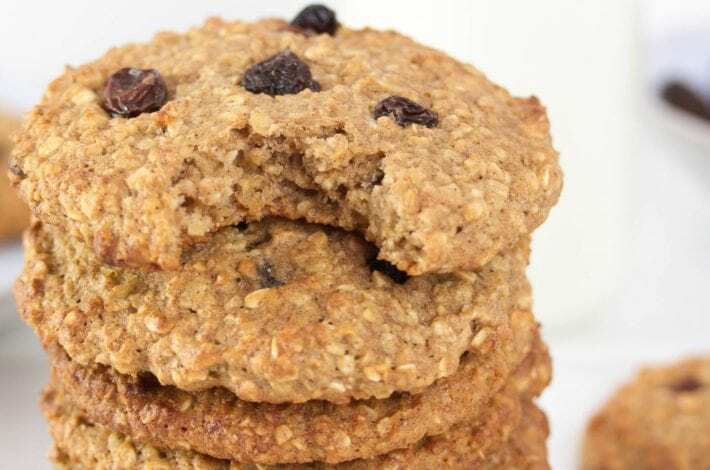 Oat flour is naturally gluten free, and it’s great for baking cookies. However, as oats are often packaged in factories that also produce wheat flour, they can sometimes get contaminated. For that reason if you are on a strictly gluten free diet, it’s always best to buy oat products labelled ‘gluten free’ when possible. Oats are also full of fibre and are higher in protein than other common grains, which make it a much healthier choice than wheat. They also make for a more moist and tasty cookie. Raspberries, known as nature’s candy, are packed full of antioxidants. They are high in potassium and vitamin C and have even been known to help improve vision. 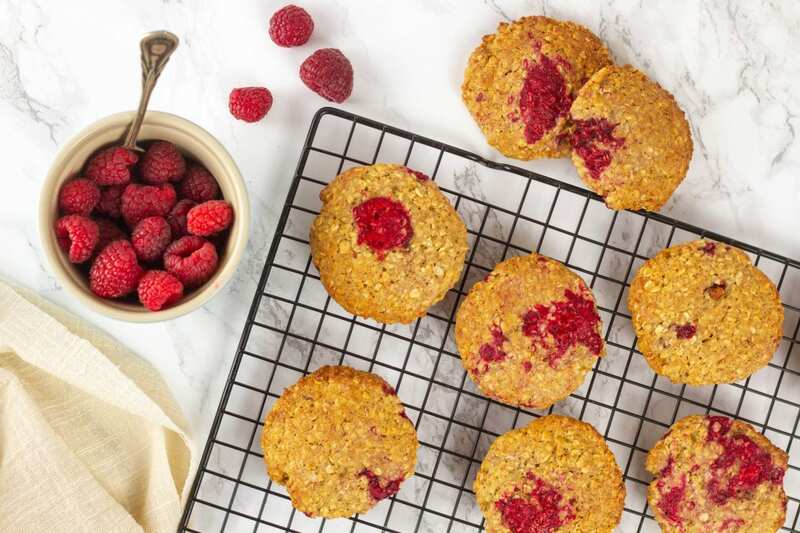 We’ve used the natural sweetness of the raspberries, together with maple syrup, so that these cookies can be offered to your little ones guilt free. 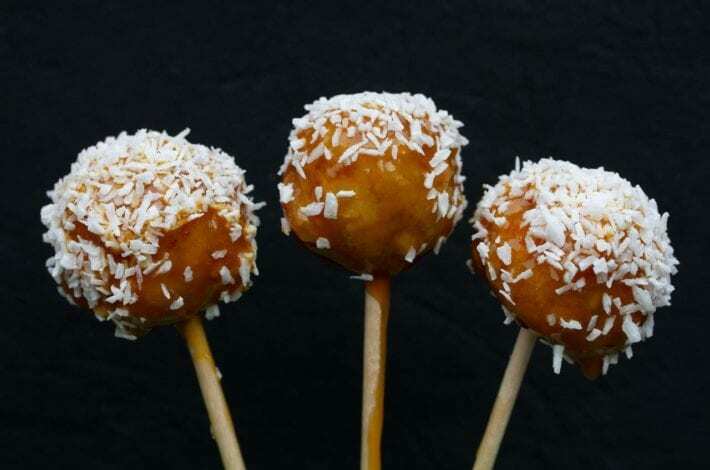 They make great desserts or after school snacks and can even be eaten for breakfast. 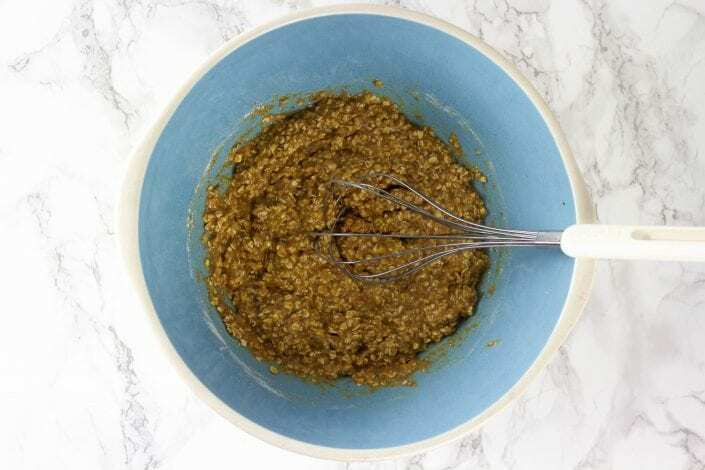 Whisk together the dry ingredients: rolled oats, oat flour, salt and baking powder in a medium sized bowl. In a larger bowl, mix the butter, egg, vanilla and maple syrup together. Tip the dry ingredients into the wet ingredients and stir until everything is well blended. Dice the raspberries and fold them into the mixture. Place the bowl in the fridge and chill for 30 minutes. Line a baking tray with parchment paper or spray with oil spray. Either drop the cookies into rough circles onto the parchment paper, or place a cookie cutter on the tray and spoon the mixture into them to get a circular shape. Bake for 12 minutes or until the tops are firm. 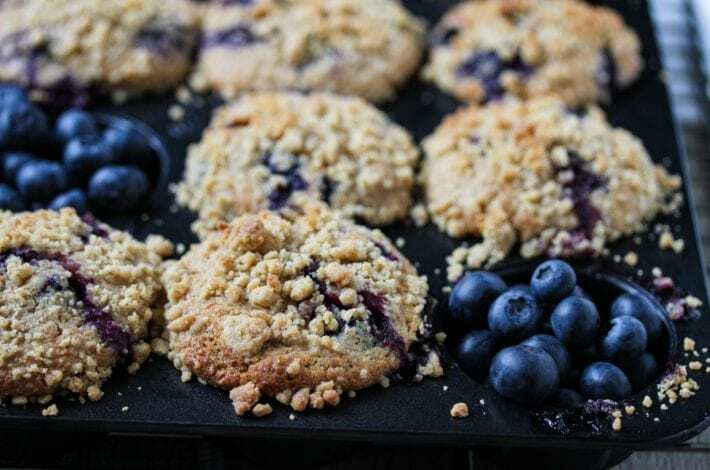 Allow the cookies cool on a baking rack and enjoy! 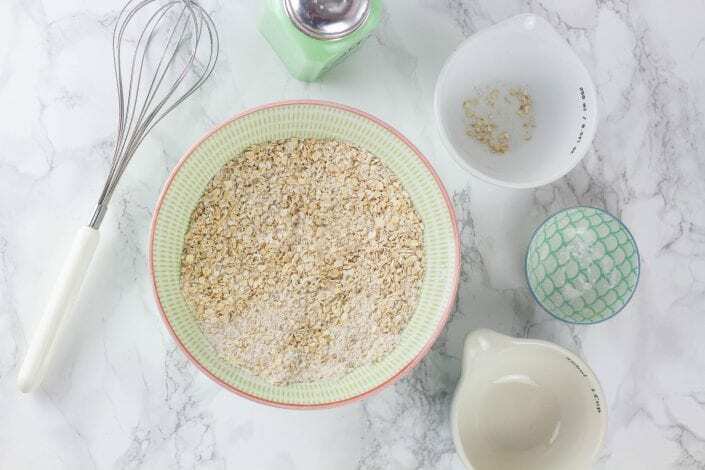 Whisk together the oats, oat flour, baking powder and salt in a small bowl. Set this mixture aside and grab a bigger bowl. 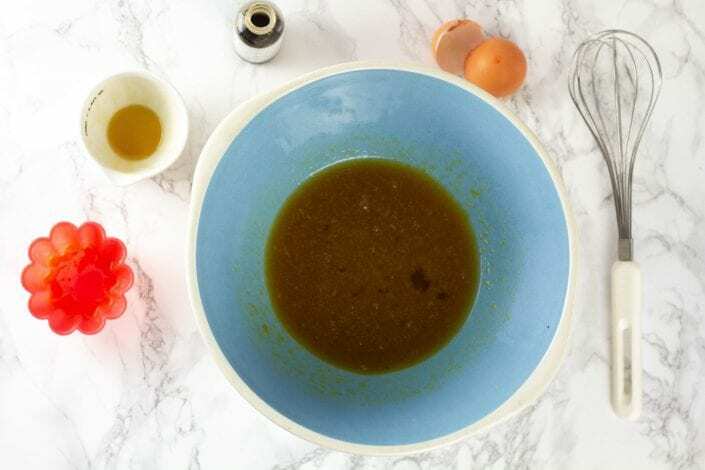 In this second bowl, mix together your melted butter with the egg, maple syrup and the vanilla. Your butter should be liquid but not too hot. Make sure that everything is well combined. Now tip your dry ingredients into your wet ingredients. Stir until everything comes together. Your cookie dough should be thick and moist. Now gently fold in your chopped fresh raspberries using a spatula. 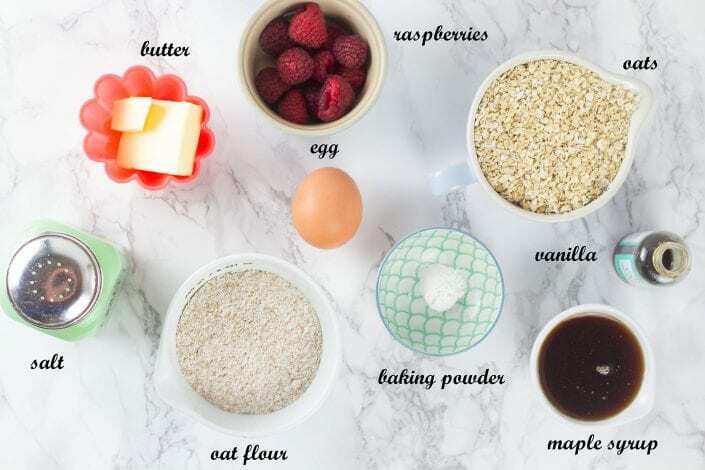 Turn the dough over with the spatula, gradually incorporating the raspberries. Pop everything in the fridge to chill for 30 minutes. Chilling the dough will thicken it up, so if you want a more regular shape, chill it for at least a half hour. However, this step is optional. If you don’t have time, just go ahead and drop them by spoonfuls onto your parchment paper. We used a cookie cutter to make perfect round shapes after the dough came out of the fridge. Just place the cookie cutter onto your baking sheet, and using a spoon press the dough into the shape. Now remove your cookie cutter for a perfect circle. 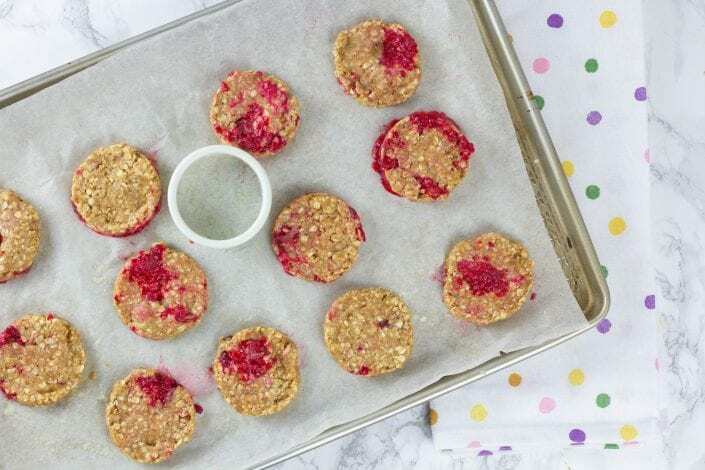 Some of your raspberries will break as you press the dough down, but that’s what will give you a lovely red marbled cookie. 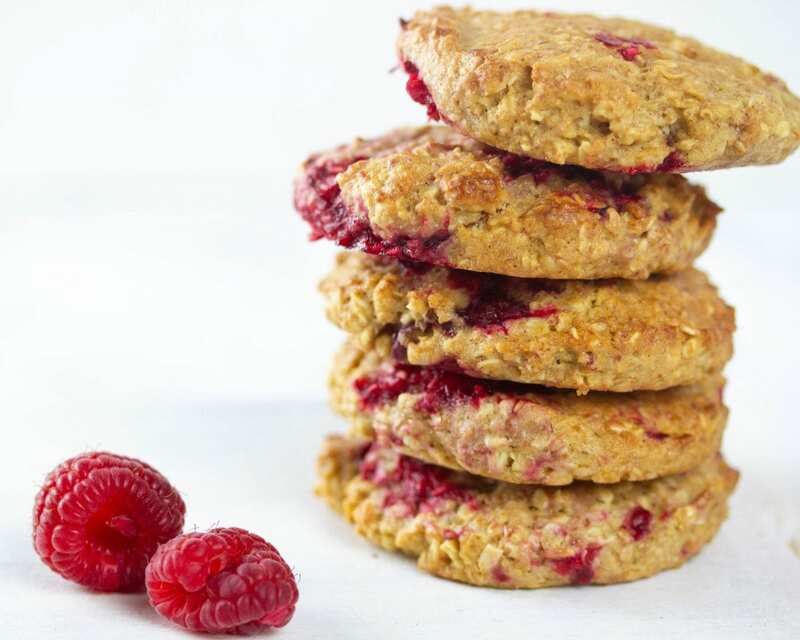 Pop your raspberry cookies in the over for 12 minutes or until the tops are firm. Now take the cookies off the baking sheet and cool them off on a cooling rack for about 15 minutes. 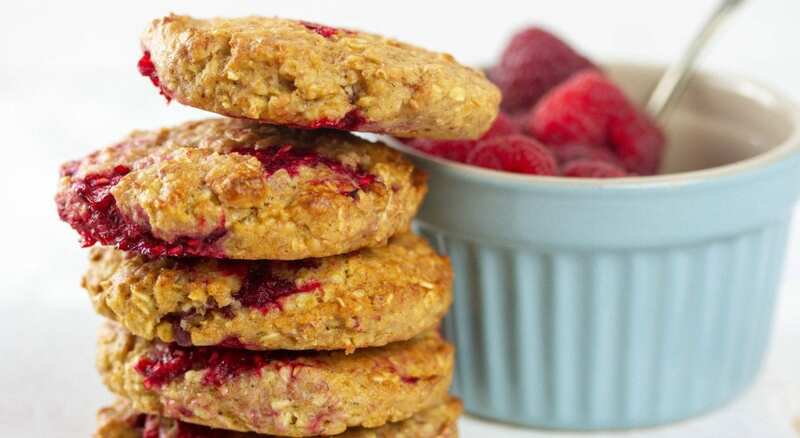 For more delicious sugar free snacks see our Banana and oatmeal cookies which take just 10 minutes to whip up. 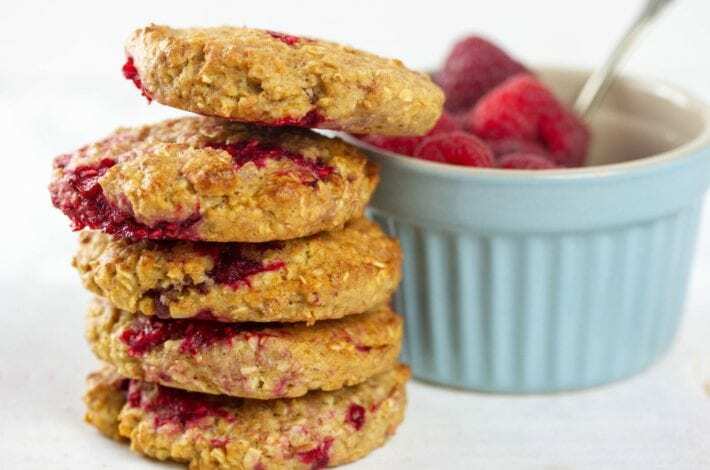 These raspberry cookies are amazingly tasty while also being free from refined sugars as well as gluten. 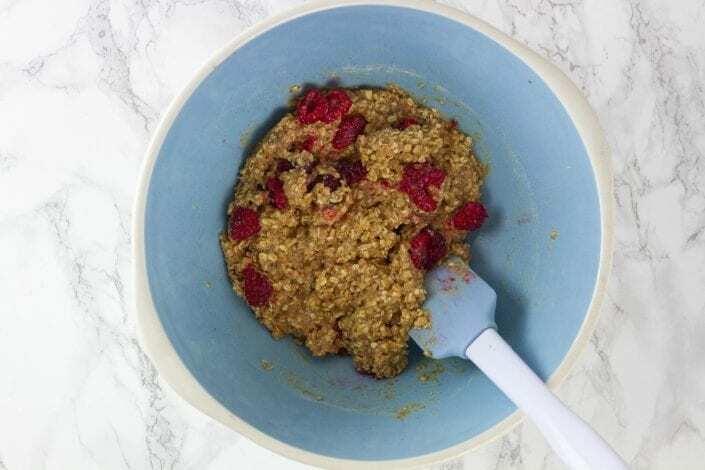 By using oats and maple syrup we’ve kept them healthy and full of nutritional goodness, without sacrificing on taste.